TCR AREA is an exhibition stand design company based in Barcelona that works on national and international projects worldwide. 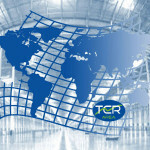 TCR AREA was founded from an architectural studio to provide a total ‘turn – key’ project management service. 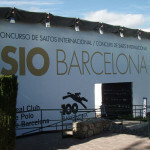 The demands of the market drove us to offer our clients integral marketing management for exhibitions and trade shows. Allowing us to position your company in the best national and international trade fairs of your sector. Our mission in stand design is to achieve optimal visibility for any brand thus exponentially increasing the number of visits to your stand in an exciting & busy promotional environment. At TCR AREA we challenge ourselves to offer the most creative & original design solutions. Our innovation derives from our experience in the deployment of technology and our ample knowledge of materials. This is our strategy to meet our clients’ budgets and needs. Our exhibition stand design company is lead by a team that marries youth and innovation with more than 25 years of experience. We offer integrated stand design & construction to guarantee you excellent results.